Grace is having an amazing 2018. 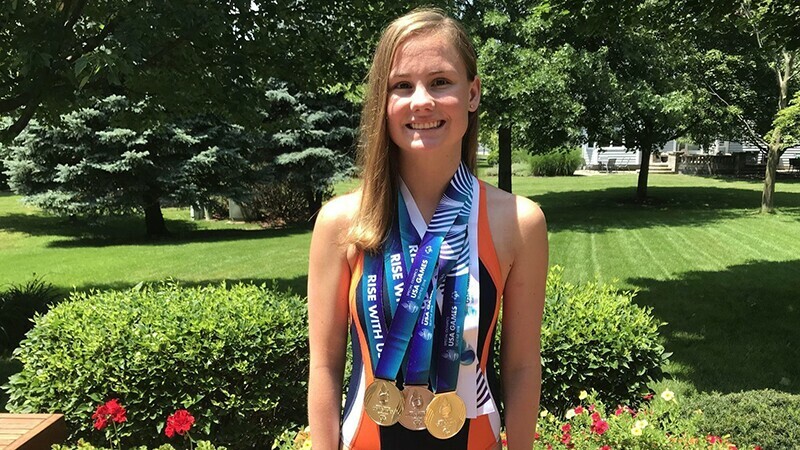 The swimmer won three medals at the 2018 Special Olympics USA in Seattle, including gold for an incredible performance in the 200m individual medley. Now the 21-year-old from Illinois is hoping to add to her medal haul at Special Olympics World Games Abu Dhabi 2019. Grace has been swimming since she was just five years old and competing in Special Olympics since 2017. Taking part in Special Olympics competitions has helped Grace grow in confidence, much to the delight of her family and friends. The young swimmer, who has autism, will take part in the freestyle relay and breaststroke in the swimming competitions, which will be held in Dubai, and can’t wait to get in the pool to take part in the World Games and to meet athletes from all over the globe. 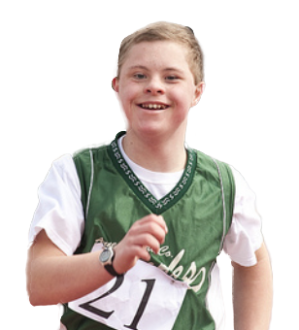 “When you have a sibling with a disability, a lot of the time they feel like they’re left out, they don’t always have the activities that typical kids have, but when they come to Special Olympics everyone is the same, everyone is excited, everyone is cheering each other on." Grace pushed herself to her limits at the 2018 Special Olympics USA and was spurred on by the shouts of support from the crowd. With the whole world cheering her on in Abu Dhabi, she is aiming to achieve even greater success and maybe take home a medal or two. Unified Pair Kat N’ Nat Report On Their Experiences in Seattle and Abu Dhabi!